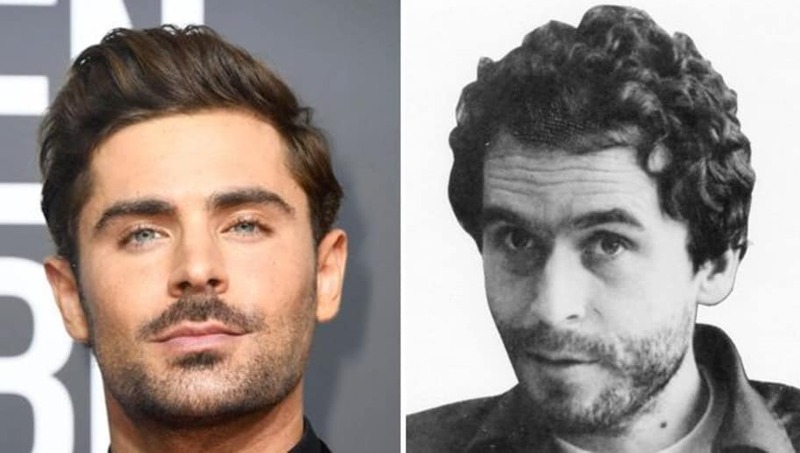 Just in case any of you didn't know, former Disney star and Wildcat, Zac Efron, was casted to play the infamous Ted Bundy in the upcoming ​crime film Extremely Wicked, Shockingly Evil and Vile. The thriller is based around the chronicles of serial killer's life throughout his court cases. The film will be released later this year. Although Efron has already shared some somewhat disturbing behind the scene photos, like the one above, we just got our hands are some even creepier ones. Jim Parsons from the hit CBS sitcom, The Big Bang Theory, is casted as Larry Simpson, who was the lead prosecutor in the 1979 trial for the murders of Margaret Bowman and Lisa Levy. Efron also shared this photo to Instagram, captioning it "Excited to welcome the amazing @kayascods as Carole Ann #wickedcrew #behindthescenes"
The film has a great cast and will be told from the point of view of Bundy’s former girlfriend Elizabeth Kloepfer who is played by Lily Collins, who real-life Bundy was able to manipulate into believing he was innocent. The film has no official release date yet, but seems to be shaping up to be one to look out for!